The PrestaShop blog module allows the store admin to showcase a separate blog page on their Prestashop eCommerce site. It even allows the admin to set the position of popular and recent blogs. 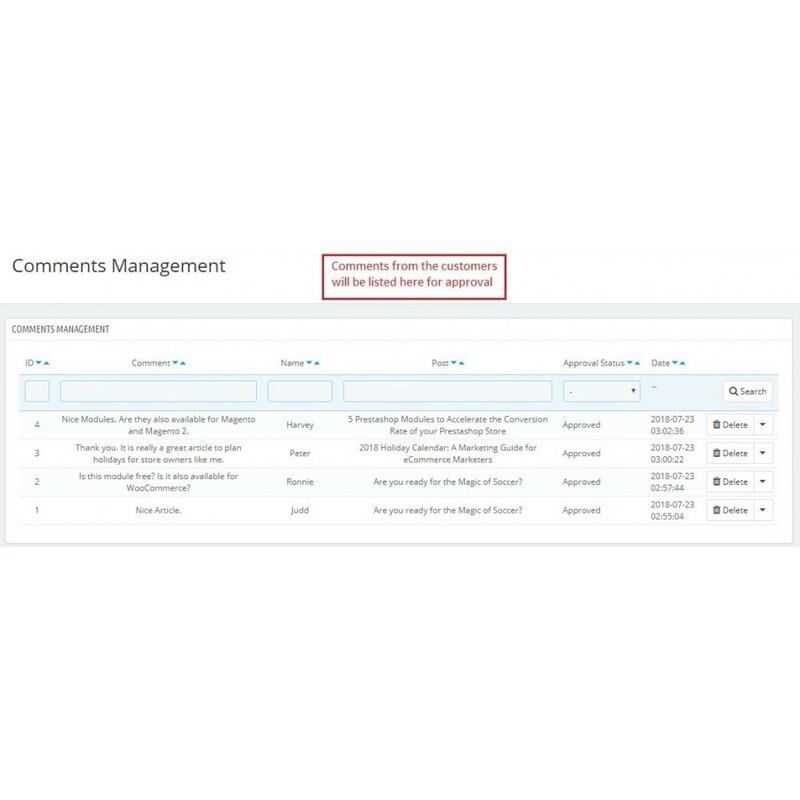 The admin can also allow commenting on the blog posts. With the help of this Prestashop blog solution module, the management of the blog posts on the website becomes effortlessly. The admin can increase customer engagement on the website by displaying interesting writeups. 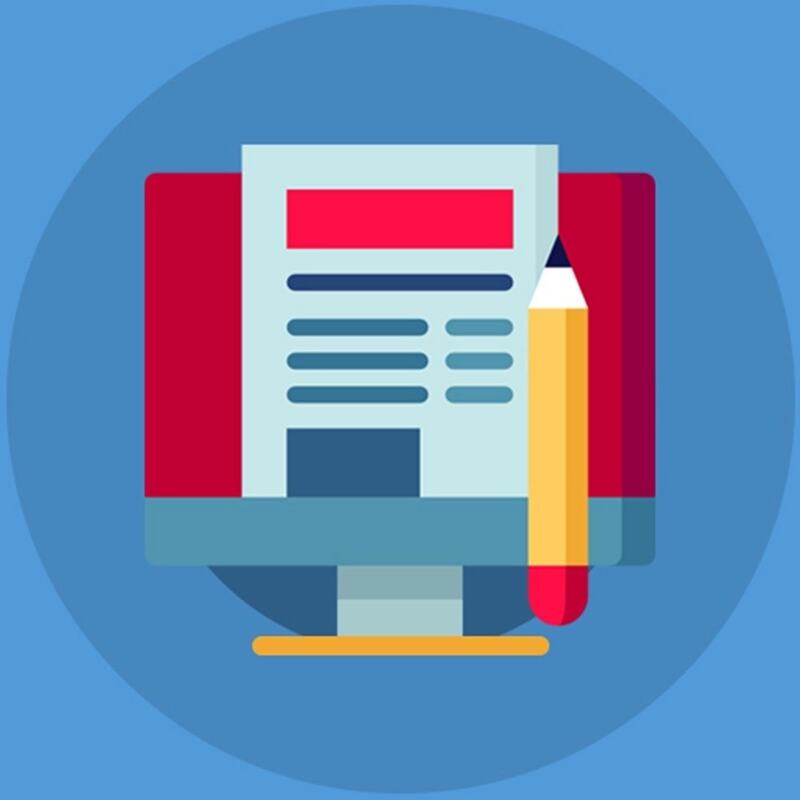 The PrestaShop blog manager plugin allows the admin to add a blogging page at their site and display an unlimited number of blog posts on their site. 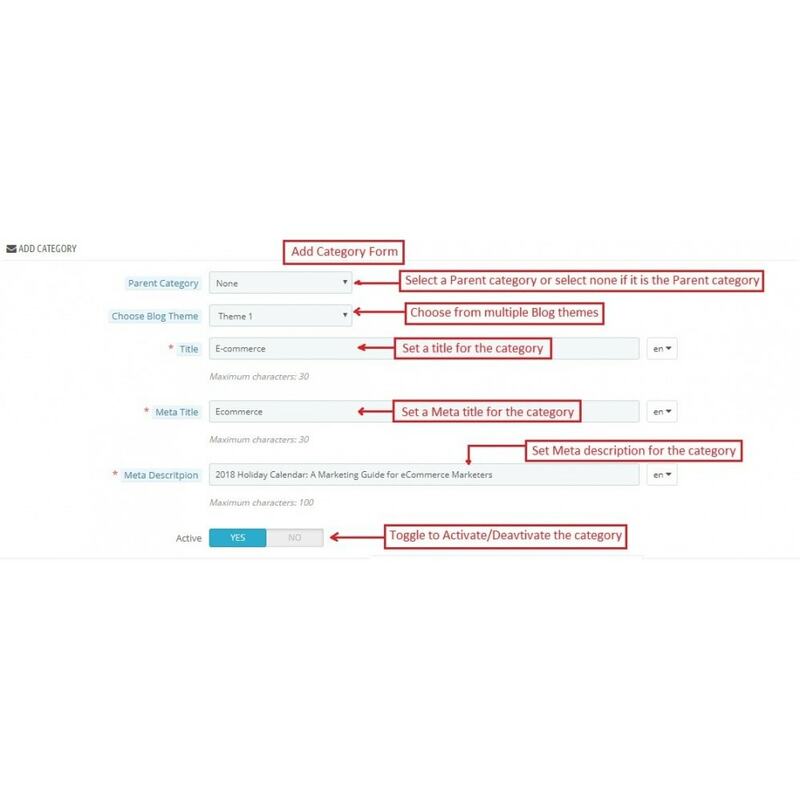 The admin can set the meta title and meta description on the blog home page. Multiple blog categories can be added without any limitations. 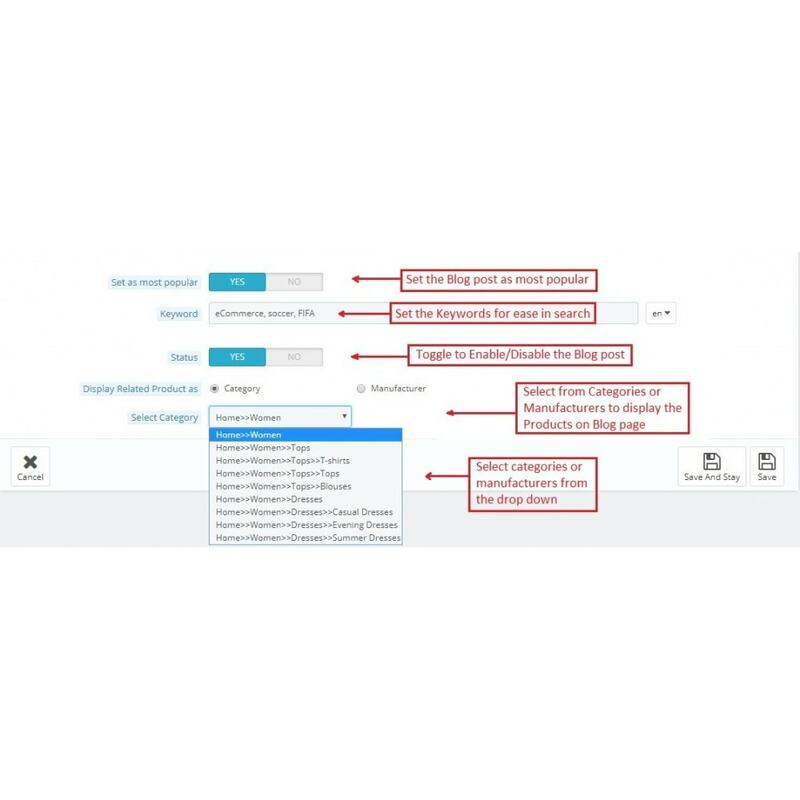 The Prestashop blog post addon allows the admin to set the meta title and meta description of the blog categories as well. 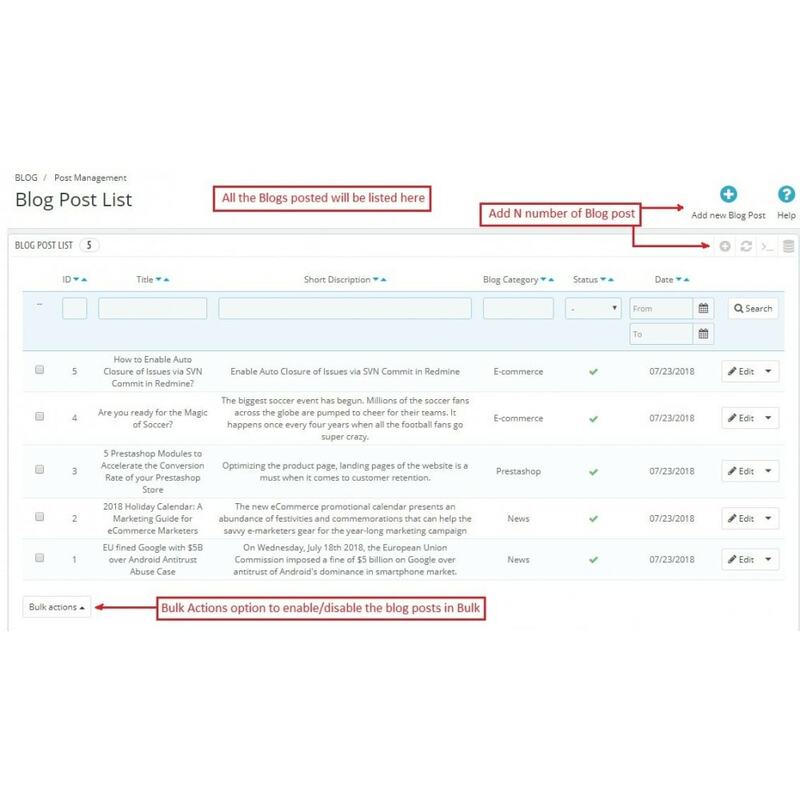 The admin can set the position for the blog search box, popular blog posts, and recent posts. 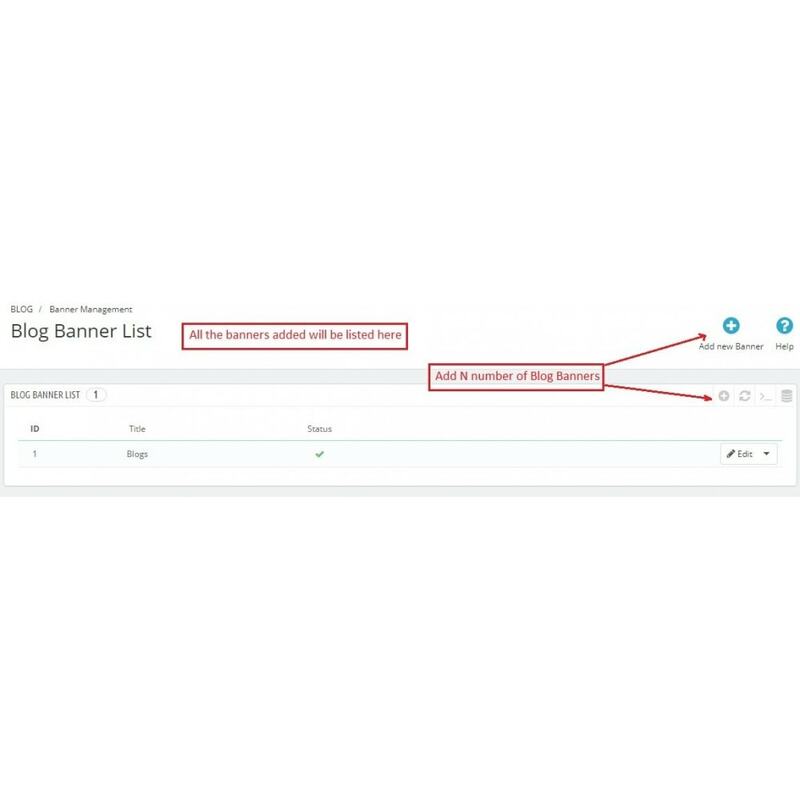 The admin can set the display priority of blog category, blog search box, popular posts, and recent posts. Admin can also display related products on the blog post page. With the help of this Prestashop blog post addon, the e-sellers can set a post as a popular post. The Prestashop blog post addon even enables you to allow commenting on the blog posts. The admin can allow commenting only to the registered customers or guest users as well. The admin can also configure reCaptcha settings to verify if the blog readers who are commenting on the blogs are humans or not. This can prevent the robots from commenting on the blog post. 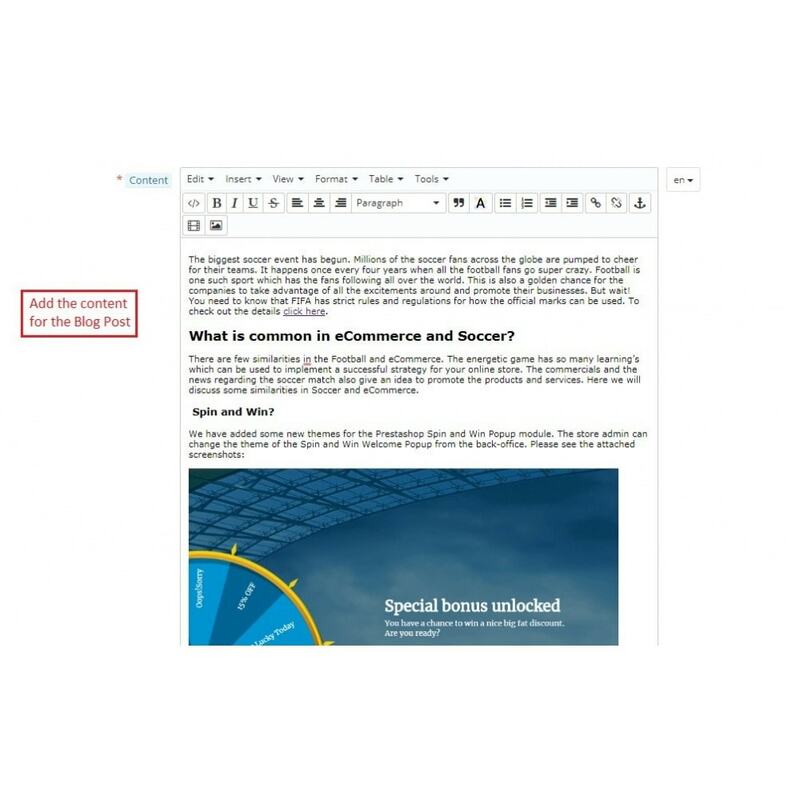 This Prestashop Blog Post Manager addon allows the store admin to incorporate a blogging page on the eCommerce store. They can display the blogs on their site without making any changes in the basic code of the site. With the help of this Prestashop blog post addon, the admin can display and manage blog posts on the eCommerce store. 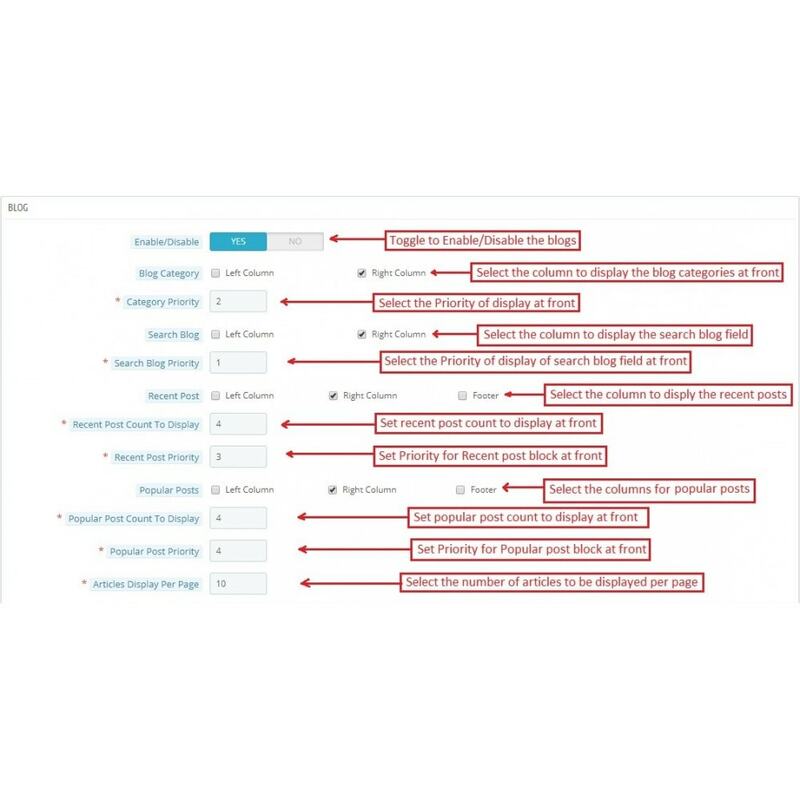 The admin can set the position and priority for the blog category, blog search box, recent posts, and popular posts. 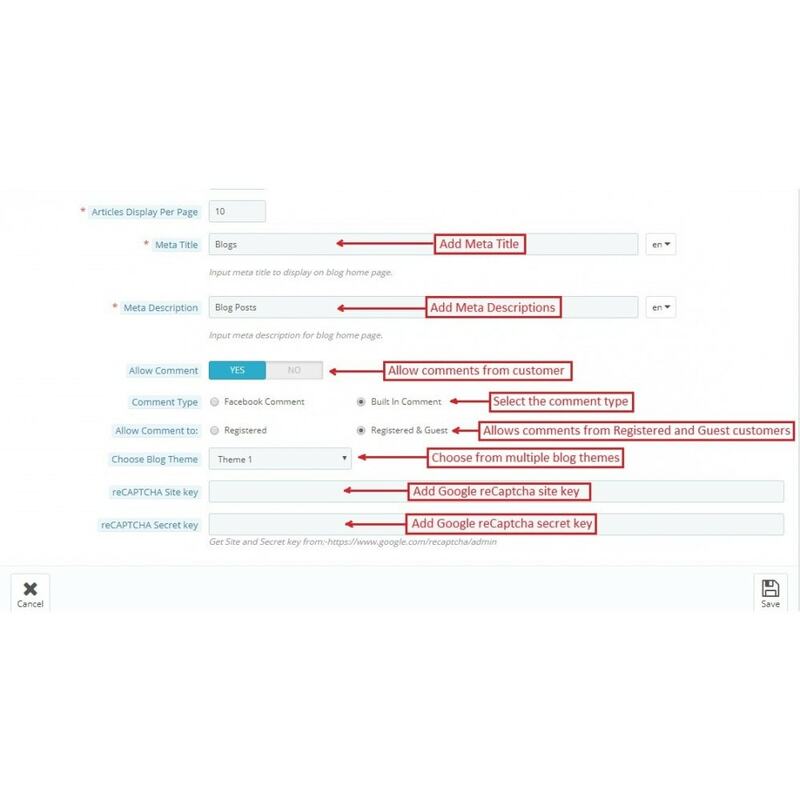 The Prestashop blog integration allows the store owner to select the count of the blog post to display on the blog page. 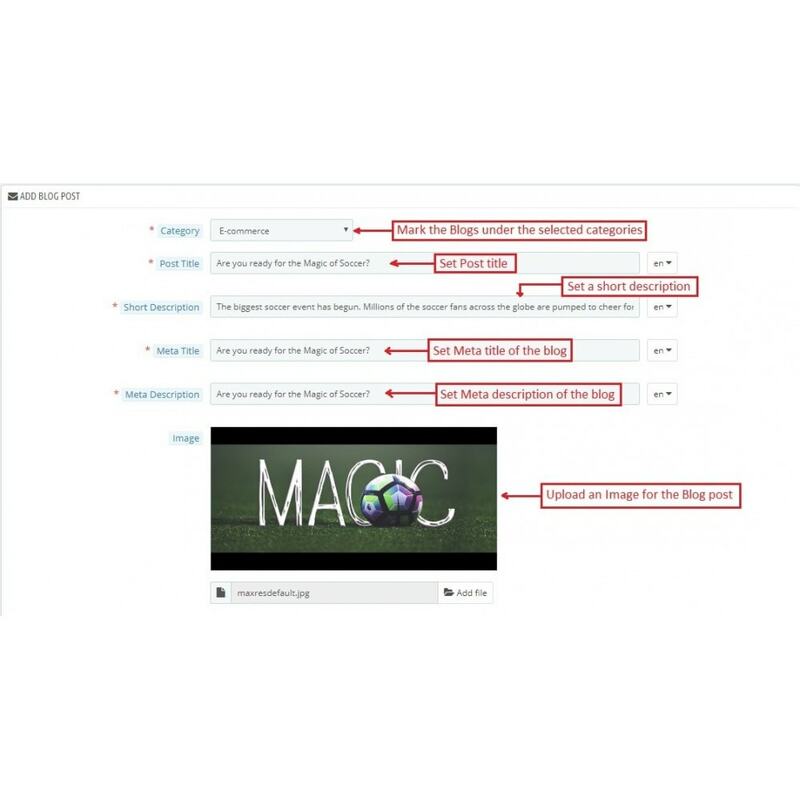 The PrestaShop blog manager plugin allows the admin to enable or disable commenting on the website store. 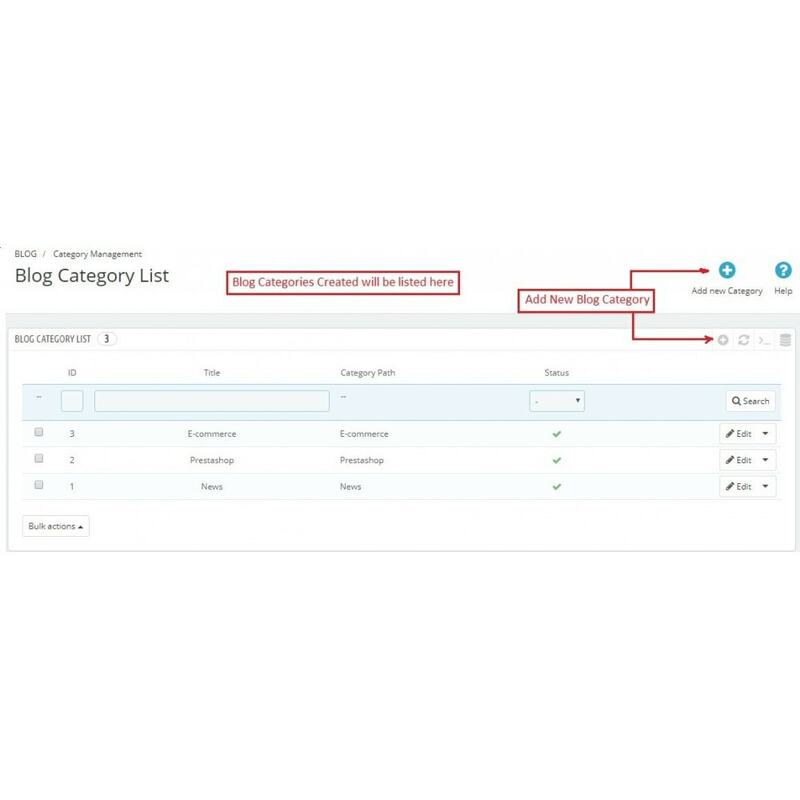 The eCommerce store admin can insert multiple blog categories and subcategories easily. The Prestashop blog integration offers a fully mobile responsive layout and it is also compatible with all PrestaShop themes. This PrestaShop blog manager plugin is multi-store compatible and offers multi-lingual support. The customers can view the blog posts easily and can get the regular updates provided by the website. The Prestashop blog integration has a mobile responsive and appealing interface. The customers can also view the blogs on their mobile devices. This PrestaShop blog manager plugin is compatible with all the browsers. The readers won't face any design issue on any browser. 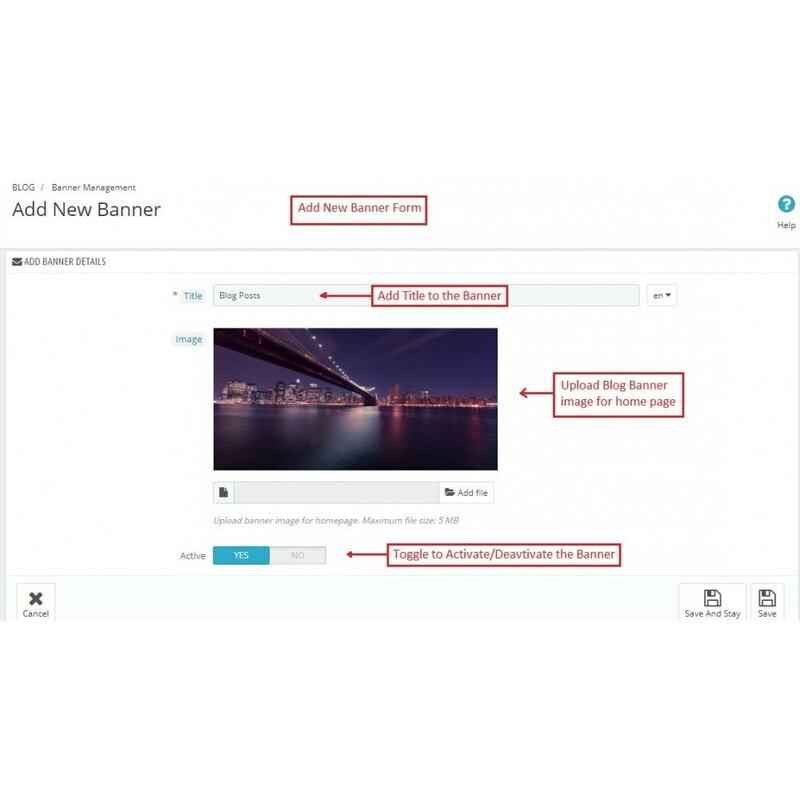 The users can also view related products on the same blog post page. The customers can comment on the blog post and share their views easily. Blog search box is available for making blog search effortless and hassle-free.